On April 11, 2019, Centennial’s annual WorldFEST took place; a celebration of the many cultures that make up Centennial’s student body. The event started with food served from 5 to 7 pm, followed by rotations of activities, including a trivia game put on by It’s Academic. After the rotations of activities, a talent show, fashion show and taekwondo demonstration concluded the evening in the auditorium from 8 to 9 pm. Junior Daria Cara expressed how much she enjoys the fashion show aspect of WorldFEST and its impact on the school and the community. “I absolutely adored the fashion show! It was absolutely wonderful seeing so many different cultures, and seeing everyone so confident and having so much fun on stage,” stated Cara. Different clubs each served food at WorldFEST, ranging from sushi, to pizza, to funnel cake. The different activities that took place from 7:10 to 7:55 pm were Hair Braiding, Anti-Human Trafficking, Diversity in the Media, Latin Dancing, Taekwondo, Irish Dancing and It’s Academic Trivia. Students from National Honor Society and the National Dance Honor Society, Delta Eta Pi, participated in the fashion and talent show, as well as students not in either honor society. WorldFEST continues to celebrate Centennial’s unique diversity. On April 1, 2019, Centennial’s National Science Honor Society hosted its annual RISE Conference. Students interested in pursuing the STEM field attended to explore internship opportunities, meet mentors, exchange ideas, and learn from the society members’ project boards. The night consisted of a jam-packed event calendar, from interactive discussions to intellectual student conversations. Keynote speaker and director of data analytics for the Baltimore Ravens, Eugene Shen, gave an hour-long talk and presentation of what he felt leads to success. Meant to inspire, engage, and educate, Shen’s personable lecture captured the audience. “If you put your mind to something, you can achieve it,” said Shen, promoting the main idea of his talk. After Shen’s presentation, students participated in various workshops of their choice, each consisting of one out of seven STEM professionals representing their respective fields. Following the workshop was the gallery walk, which included an impressive display of student-created projects and boards, depicting studies from computer science to data analytics. As night rolled around, students began their second round of workshops, offering them the opportunity to engage with numerous professionals and explore multiple fields. Students participating in the conference felt as though the experience provided a stronger pathway for their futures. “I think the RISE Conference is an opportunity for high school students to expand their boundaries and horizons in what they want to do in life,” stated junior Shubi Saxena. On Tuesday, March 26, Centennial’s PTSA hosted an assembly presented by public speaker Tony Hoffman, who spoke about how one choice affected his entire life. Hoffman started his story from when he was in high school and started doing drugs at parties. He didn’t realize it at the time, but he made a decision that impacted the entire course of his life. His bad choices resulted in his arrest and ultimately, prison time. Hoffman decided to change for the better by improving his life with little habits. Hoffman’s determination to stay sober helped him to live out his dreams of professionally BMX biking and starting a nonprofit which is now called The Freewheel Project. Since his time in prison, Hoffman has been successful in other areas such as being a coach for BMX athletes and helping to spread awareness about drugs as a public speaker. After the speech, Hoffman answered questions about his message. Many students enjoyed how unique his story was. Hidden down one of Centennial’s less crowded hallways (a rarity in itself) and down a rather dim, narrow corridor, is a computer science room- home to the FIRST Tech Challenge (FTC) Robotics club. As I stepped into the room for the first time, the atmosphere felt almost animated. I was instantly hit with a feeling of intense, pure joy. The sight of photographer Eliza Andrew with her camera, and I with my notepad, immediately garnered a beaming smile on the faces of each individual as the words, “the Wingspan!” jumped around the room. Two enormous robots sat in the center of the room surrounded by a protective barrier, and just beyond that, a mass of students with determined faces. My eyes jumped from one excitable huddle of bodies to another. Sophomore Diego Montemayor quickly grabbed an oddly shaped bag, pulling out enormous foam hats. The hats were tossed across the room, bursts of color and decoration meant to distinguish the individual teams, Exponential 15561 and VIRUS 9866, that were controlling each robot. As I realized I was getting lost in the sheer madness and spirit of the room, I gathered my bearings and remembered that I had a story to tell. As sophomore club president Phillip Wang and junior Carlos Montemayor excitedly made their way over to Eliza and me, I couldn’t help but feel giddy. Why hadn’t we come sooner? They introduced themselves and set down various trophies and binders accumulated over only a few short months, proving the club had already distinguished itself in excelling in the art of competition. I asked Phillip how this all worked, how this group of high school kids had managed to transform an idea into a robotics-based enterprise. He grabbed a thick, Leslie Knope-looking binder, and began flipping through the pages as if he’d done it a thousand times, and could recite every word. I noticed that the binder was separated by labeled tabs, detailing things such as mechanical instructions, marketing, and the business plan. Under the marketing tab, there was a spread of the numerous sponsors that had allowed the club to have the necessary funding. Phillip and his team have transformed the impressive hobby into a business-like, full-time job. After only a little over a year of operation, the club gained over twenty members and numerous sponsors. A $10,000 grant from the Department of Education along with $3,000 from various other supporting companies allowed the group to purchase two brand new computers, a 3D printer, and essential equipment. The group works tirelessly three days a week after school, as well as weekends. Their mission, above all, is to become more knowledgeable about engineering, programming, and marketing concepts while simultaneously spread awareness of STEM within the school community. Two years ago, this business-like robotics utopia was just a budding vision. Phillip and his two friends, Andrew Zhao and Matthew Zhang, imagined turning their personal FTC team into a real club at Centennial. From there, they reached out to Nancy Smith, the PLTW teacher, and fellow students with an interest in robotics. 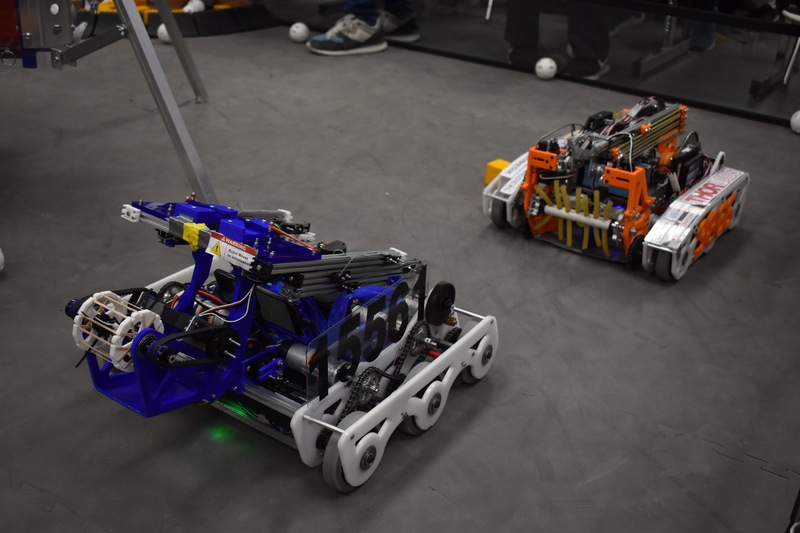 The club’s robots, Exponential 15561 (left) and Virus 9866 (right). Soon enough, this STEM dream became a reality. Their success has been immense, winning over three awards in just their first year of existence. “During our first year as a club, we won the first place Inspire Award at the Naval Academy Qualifier, placed second in the Motivate, Think, and Control Awards, and third place in the Connect Award,” Wang remarked. In their second year, both teams Exponential 15561 and VIRUS 9866 qualified for States after winning the first and second place Inspire Awards at the Parkdale High Qualifier. The teams will be competing at the Maryland State Championship at UMBC in March. As I excitedly scribbled my final thoughts into my notes, I took a final look around the room. Each cluster of laughing faces, the robots zooming towards one another, the pure bliss of the environment- a second home. There were so many words I could think of to describe this robotics enterprise, the STEM heaven single-handedly built from passionate freshman friends. If there’s one thing I can say, it’s that I will never underestimate this unstoppable group of young engineers. For FTC robotics, it’s not the thrill of the awards, nor the rush of the competition, that motivates their endless time commitment and work ethic for the club. It’s pure passion. 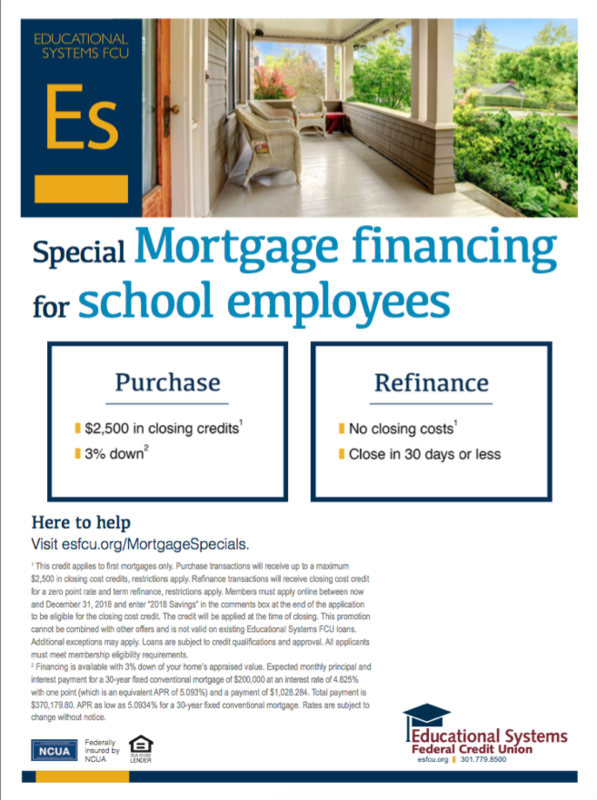 To read this article in the March print issue click here. On Thursday, February 14, the girls’ Varsity basketball team hosted Howard High School. The support from fans decked out in white would prove to not be enough, as Centennial fell to Howard by a final score of 47-32. Despite the devastating loss, the team was able to raise money through a successful raffle with numerous prizes donated from various parents and teachers. All of the money gained from the raffle was donated to the Zaching Against Cancer Foundation. Although Centennial was eventually defeated, they put up a strong fight and led for much of the game. Neither team wasted any time at the start of the game. Centennial took a quick three-point lead due to an early block from junior Rasa Welsh, followed by a tough bucket in transition. Following the energizing play, Howard began pressing Centennial. Their full-court pressure would eventually lead to several consecutive turnovers as Howard closed out the first quarter, leading 15-10. Howard’s full-court, defensive pressure continued to be a problem for Centennial throughout the game. Despite their struggle to move the ball off the in-bound, the Eagles found a way to score in transition. Junior Brook Anderson nailed two, big-time three-pointers in the second quarter to keep the girls in the game. Entering halftime tied at 19, Welsh led the team with three blocks, five rebounds, and four points. The third quarter began slow, but the pace picked up rapidly. Both sides dominated on offense, but struggled on defense. Howard led by a score of 31-27 at the end of the third quarter. Opening the final quarter with a 6-0 run, Howard created a large deficit that Centennial could not overcome. The Eagles were defeated by a final score of 47-32. The girls will look to bounce back as they travel to Wilde Lake this Friday night. On Monday, January 28, Centennial High School hosted their second annual One Centennial Day. During One Centennial Day, students came together to educate and encourage each other to be part of an inclusive environment. As students entered the building they reported to their first period class to sign up for the workshop of their choice. Each workshop was designed to inform and help students become more involved members of the community. Sophomores and seniors went to workshops for session one, while freshmen and juniors gathered in the auditorium for an assembly. After session one, the sophomores and seniors went to the assembly and the freshmen and juniors attended workshops. Some of the workshops offered included School Spirit and Leadership Through Athletics. The assembly was full of guest speakers, performers, and others who wanted to give a voice to an issue they feel affects the Centennial community. To conclude the day, everyone returned to their first period class to complete a survey on their experience with One Centennial. On Friday, January 4, and Saturday, January 5, the Centennial Indoor Track team competed in the 25th Hispanic Games. Over the weekend, the team travelled to New York City to participate in the annual indoor track meet. Multiple runners finished in the top ten of their respective events. In the girls’ triple jump for the Freshman/Sophomore division, sophomore Cherakie Pierre placed sixth with a jump of 30-10.50 meters; breaking Centennial’s long jump record. In the Novice division, junior Tyler Dan finished first in the boys 55 meter dash with a time of 6.71. Also in the novice division, junior Zack Garwacki ran a 8.71 in the boys’ 55 meter hurdles to place ninth. In terms of Varsity, Centennial shined in the field events and long distance events. Junior Anthony Matthews finished ninth in the boys’ triple jump after jumping 42-03.05 meters. Another junior, Jack Ragonese placed tenth in the boys’ shot put. Senior Alison Betler represented Centennial well in the girls’ 1500 meter race and one mile race. In both events, Betler placed tenth. The indoor track team’s following meet, the Howard County/Anne Arundel County Challenge, took place at the PG Sportsplex on Monday, January 6. Both boys’ and girls’ Varsity teams competed against 11 other schools in the region. Numerous Centennial runners from both the boys’ and girls’ varsity teams placed in the top five of their individual events. In regards to the boys’ Varsity team, junior Zachary Garwacki placed second in the 55 hurdles. Sophomore Adrian Nwakalor took fifth in the boys’ triple jump. The girls’ team excelled throughout the meet, as junior Leah Alkire placed fourth in both the girls 500 meter as well as the girls’ 500 dash. The Varsity girls took fourth out of all eleven teams in the 4×400 relay. Senior Christina Stavlas dominated her respective events, landing an impressive third place in both the girls’ 3200 meters and girls’ 300 meters. Centennial’s indoor track team will next meet on Tuesday, January 15, for the Howard County Championships.